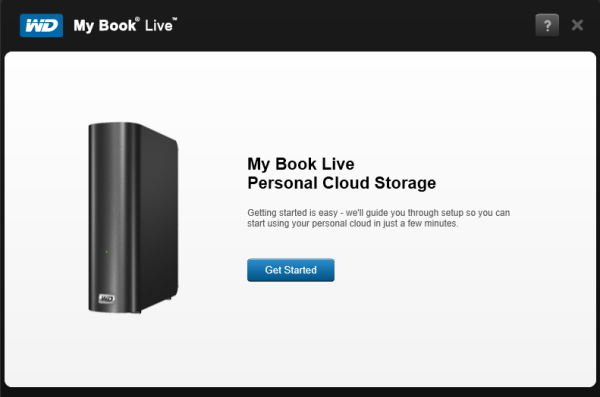 Visit the My Book Live Setup for Windows or Mac. From the main page, click on the picture of your product. If using a Mac, and it's not already set, change the drop-down on the upper-right corner of the page to say Mac OS X.
Click on Download Setup Software. When done, mbl_windows_setup.exe will begin downloading. When the file finishes downloading, run it. Running the mbl_windows_setup.exe file will open the Get Started screen of the My Book Live. Click on the Get Started button to begin the setup. 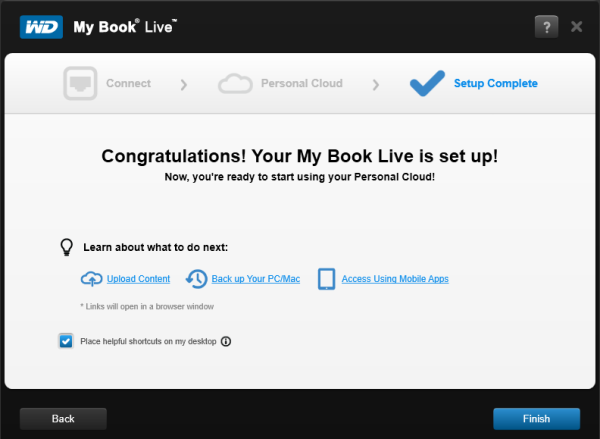 The first step on setting up the My Book Live is the Connect screen. 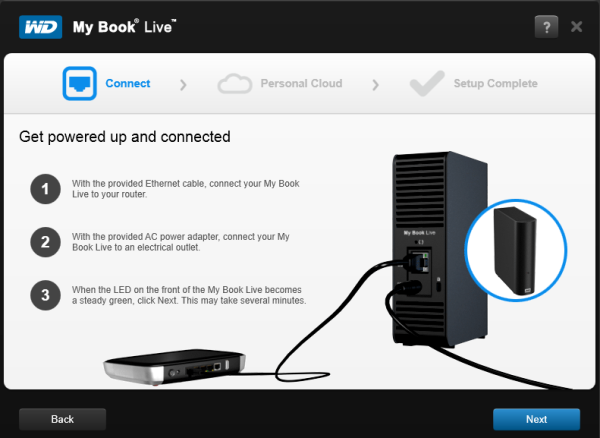 Here, the setup explains how to do the physical connection of the My Book Live. When done, click on Next. 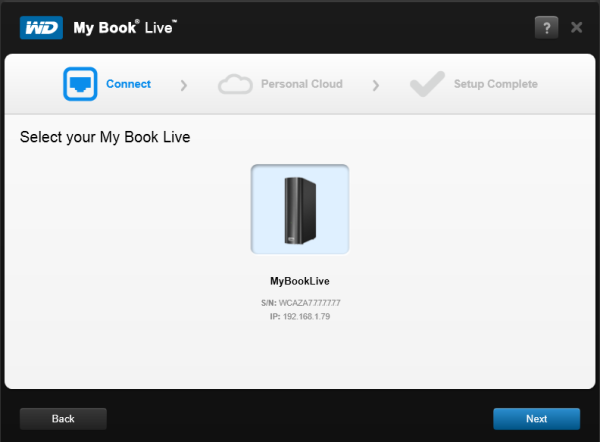 After that, the software will scan the network for compatible devices, in this case for a My Book Live. It will provide the units' Serial Numbers as well as the IP Address they have been assigned. 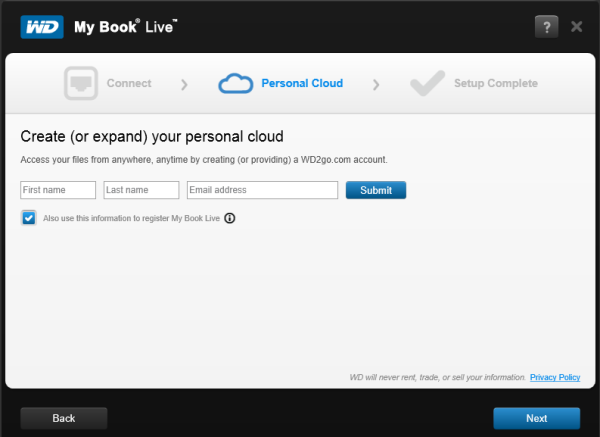 Select the desired My Book Live to perform the setup on, and click on Next. The second step of the setup is the Personal Cloud screen. 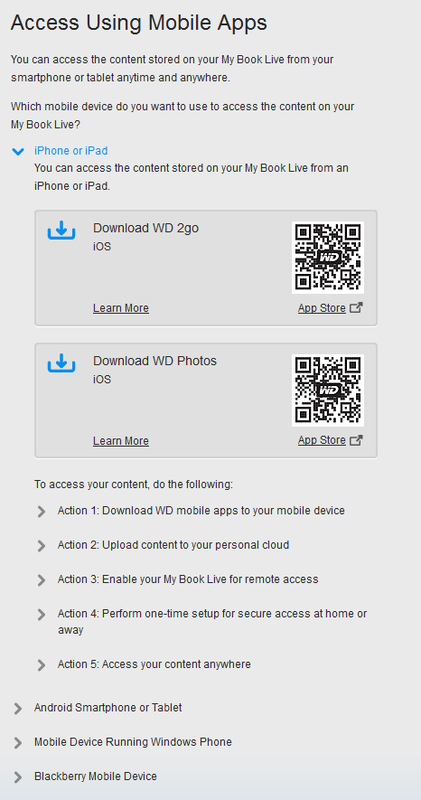 This allows the user to start the process of creating a WD2Go.com account in order to be able to access the device remotely. 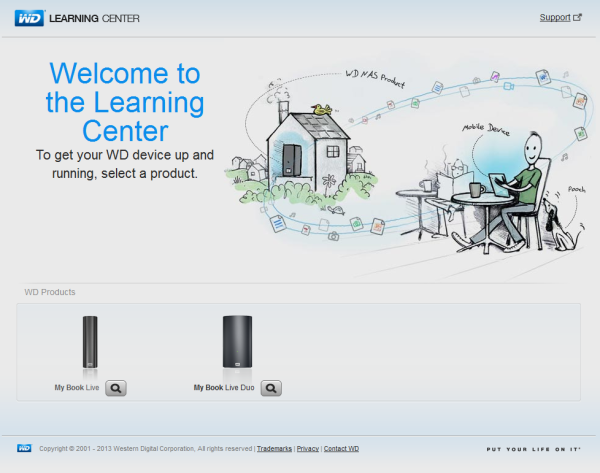 Upload Content: This section will provide information on how to load content to the network drive. Back up Your PC/Mac: Here, users will learn about the different options available to back up their information into the network drive. Information provided here will vary depending on the Operating System (OS) being used. 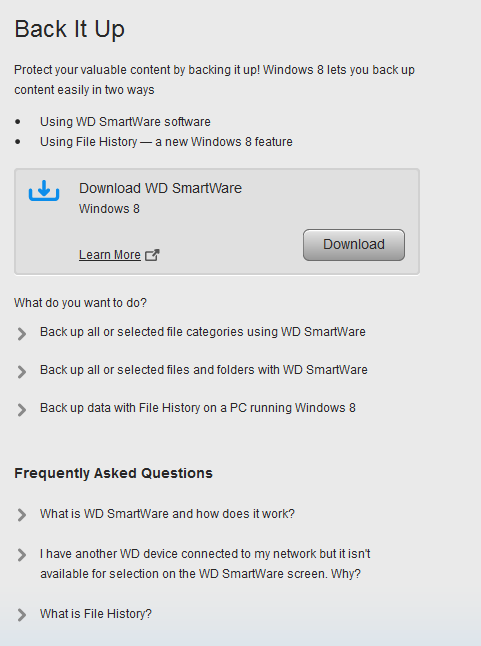 For assistance setting up a backup using WD SmartWare please see Answer ID 3828: Creating a category backup using WD SmartWare. For additional information about using the drive with Time Machine see Answer ID 3561: Starting macOS Time Machine Backups to My Cloud and Network Attached Storage. Access Using Mobile Apps: This section informs users of ways to access the data in their network drive from mobile devices of different kinds. My Book Live Online Learning Center: Provides access to the online site for the Online Learning Center where additional information can be found on the different functionalities of the My Book Live. 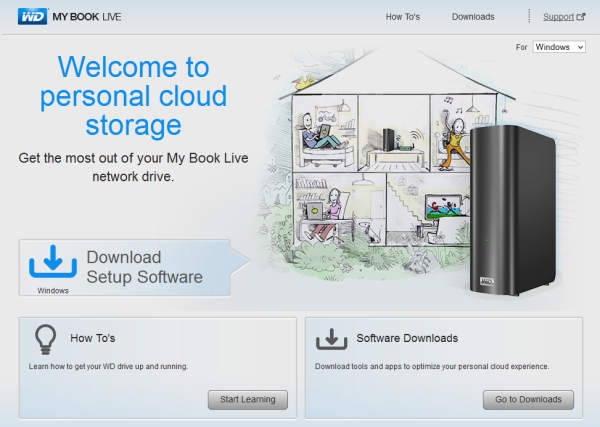 My Book Live Dashboard: Grants access to the Dashboard, the web interface of a My Book Live. The Dashboard is where the network drive can be configured in many different ways, such as creating new shares, new users, and updating the device's firmware. 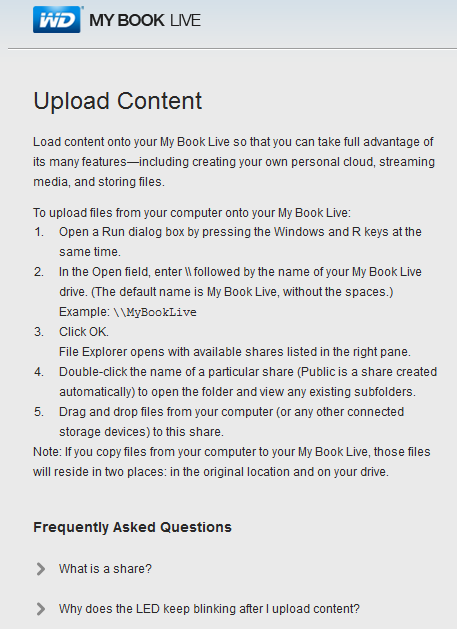 My Book Live Public Share: This will give free access to the Public Share of the My Book Live, where data can be stored freely, as well as be accessed.